Here is a photograph of the centre of Brisbane, taken in 1958. How many of the old buildings and neon signs do you remember? When I finished high school a few years later than that, I started work in the city and it didn't look too much different. In this picture of Queen St, looking towards Albert St from Edward St, the Tattersall's Club building can be seen on the left edge. Note the open windows - must have been prior to the installation of air-conditioning. Here is a photo from a similar perspective, taken recently. Of course we now have the Queen St Mall, so the tram wiring and the traffic have been replaced with pedestrians and trees. Tattersall's Club remains, also at the left edge of this image. 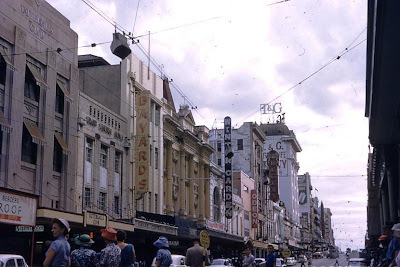 But every building further up Queen St has been rebuilt, save for the Regent Theatre, and that is also in mortal danger except for its entrance foyer. 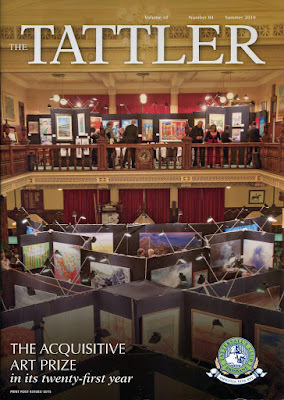 Before we go any further, in the interests of disclosure: I am a member of Tattersall's Club. To some people, that fact apparently immediately makes me a chauvinist or even a misogynist. You see, Tattersall's does not have female members, although the club has voted on the issue in recent times. I support allowing women to join, and I suspect that at some future time it may yet happen; but in the meantime I am not about to throw the baby out with the bathwater and resign my membership. And that's all I'm going to say on the matter in this post. 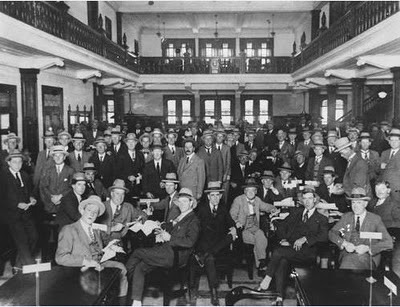 In July 1926, the club opened its own rooms in a building designed by Hall and Prentice, architects of Brisbane's City Hall. This is the Edward St entrance of Tattersall's; the date of the photo is not known. Despite the corner having been redeveloped, the Edward St exterior is unchanged. 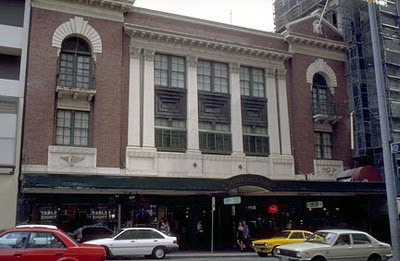 A feature of the club's design was the series of "horse" sculptures by Daphne Mayo that lined the original Queen St entrance. When the club was refurbished in 1990, the sculptures were moved to line the the arcade leading into the club's entrance foyer from Queen St.
To find a date of that photograph you just have to find out what building is being built next to it, and see when it was built. Tattersall's redeveloped the Queen St/Edward St corner in 1990 - that seems to fit pretty well with the cars in the photograph. Hi there. This may be of interest. Trove images show that Tattersalls club original met at their original premises on Adelaide Street from 1872. 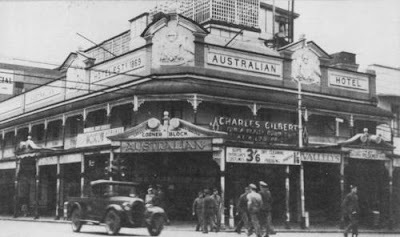 This building was then occupied by Globe Hotel in 1934, which I assumed had been refurbished in Art Deco style as in the photograph of Globe Hotel 1934. Yes, there are some conflicting dates and I cannot clarify which is correct. 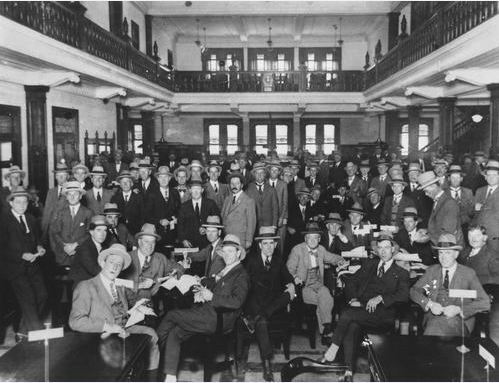 Some records show an inaugural meeting in 1883 and Tattersalls celebrated its centenary in 1983. But there is a newspaper record that shows an earlier date. We may never know for sure!